The World Cement Association has said it expects global cement demand growth to slow in 2019, as the positive outlook and signs of recovery seen in the second half of 2016 have started to fade away in the face of rising downside risks emerging in Q2 2018. WCA forecasts that in 2019 world cement demand will grow by 1.5 %. China’s dwindling needs are a significant factor, but even excluding this, overall demand will only rise by 2.8 % in 2019, lagging behind the levels of the global economic growth anticipated by the IMF. Escalating trade wars between the US and China and its disruptive spill-over impact cause a serious setback for the global growth. Economic growth expectations have deteriorated in developed markets on the back of higher trade costs and tightening financial policies, as well as in major emerging markets due to higher borrowing costs, vulnerable exchange rates and reduced capital inflow. In 2019, the WCA expects the US cement market will grow at a moderate pace, around 3 % lower than that seen in 2018, after the upside associated with the Trump administration’s large infrastructure investments has failed to materialise. Construction confidence indicators in key European countries, like Germany and France, are losing momentum and activity is slowing down. 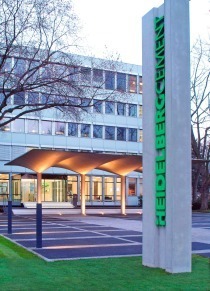 While for Germany cement demand is expected to remain flat, French cement market growth is projected to remain steady at its 2018 level of 3 %. Rising political risks in Italy limit its cement demand, and construction confidence is in decline. Spain’s strong cement market recovery by two-digit growth is the major positive news for the continent, with the market expected to grow by 10 %. Even more importantly, China’s economic slow-down continues and the country’s cement market, representing more than 50 % of world cement demand, is stagnant. 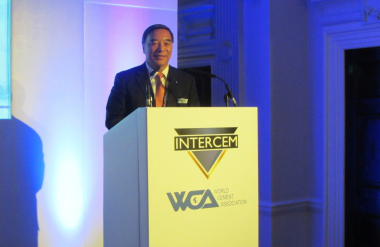 WCA expects demand to grow by only 0.5 % in 2019. Cement market outlook and risks are more heterogeneous for emerging markets. Asian emerging markets, relatively insulated from FED activity, are expected to continue their solid cement demand growth. India, Vietnam, Indonesia, Philippines and Bangladesh will remain attractive cement markets with high single-digit or double-digit growth. WCA expects to see a significant downturn in the Turkish cement market. The construction industry boom of the last decade will see a drastic correction in 2019, which will negatively impact cement demand. Recent currency devaluation and high private-debt ratios will reduce investments substantially and WCA expects Turkish cement demand to shrink by 10 %. Saudi Arabia, Libya and Malaysia are emerging markets where cement demand is expected to contract. In Latin America, Brazil might finally see growth in 2019 after their worst-ever recession since 2014 and a series of debilitating political crises. While these catastrophes have caused Brazil’s cement market to shrink by more than 25 % over these years, in 2019 a strong rebound is predicted with growth increasing by 5 %. Overall WCA forecasts indicate 2019 will be a year when the world cement market will see subdued demand, and the outlook is relatively weaker than 2017 and 2018. Together with existing global issues, a long-standing overcapacity problem in the industry and higher CO2 emission prices in the Eurozone, the year ahead will be a challenging one for many cement producers.